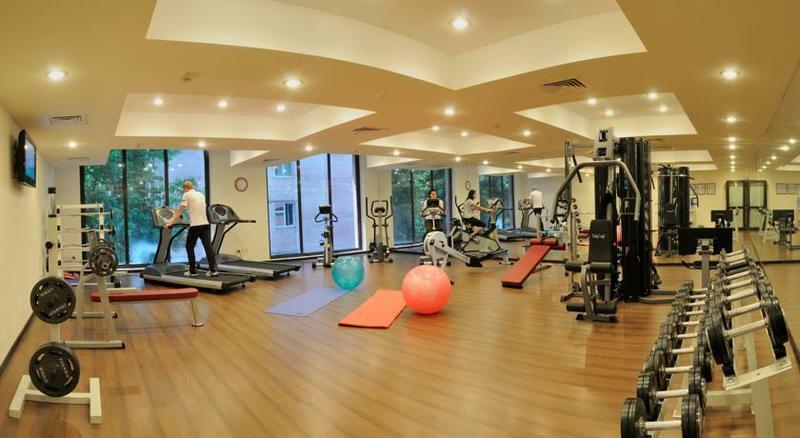 Hotel Ramada is situated in a convenient area of Tashkent, near a small park. In spite of the fact that it started its work not so long ago this hotel is in the list of the first-class hotels of Tashkent. 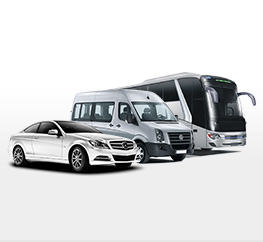 Comfortable accommodation and experienced personnel is a distinctive feature of the hotel. Already in the hall you can feel nice relaxing atmosphere, which disposes to rest. Here you can see the original design, in which the interior of the hotel has been decorated. The interior is restrained, without excesses, but at the same time elegant and refined. Rooms are made with the same elegance. 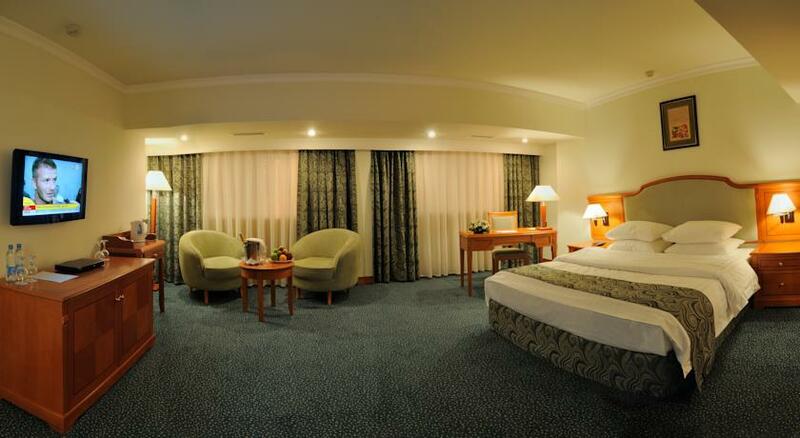 Spacious rooms comfortably furnished and equipped with modern appliances. Each room has private bath, satellite TV, telephone, electronic safe, mini bar and individual air-conditioning system. Also, you can always take advantage of such automated systems as the «Make my room» and «Do not disturb». Luxury Rooms are located on a separate privileged floor and in addition to the improved facilities they provide a range of additional services. 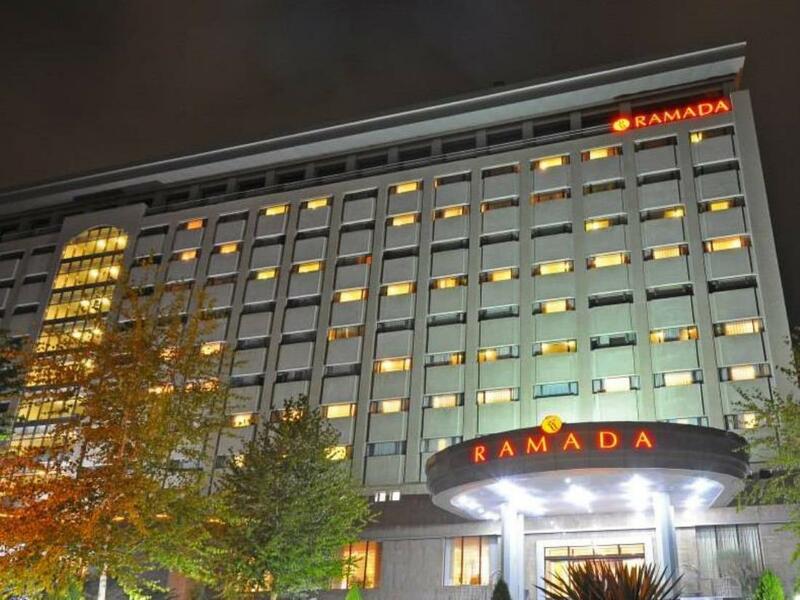 Ramada Hotel offers a wide range of possibilities of spending your free time such as a gym, sauna and swimming pool. 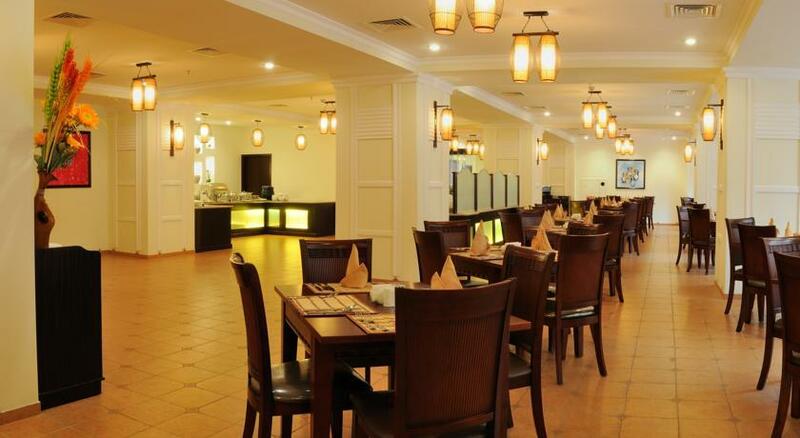 The variety and sophistication of dishes of the restaurant will leave any visitor satisfied. Here you can taste dishes of Uzbek national and European cuisines that will please even the most experienced gourmet.